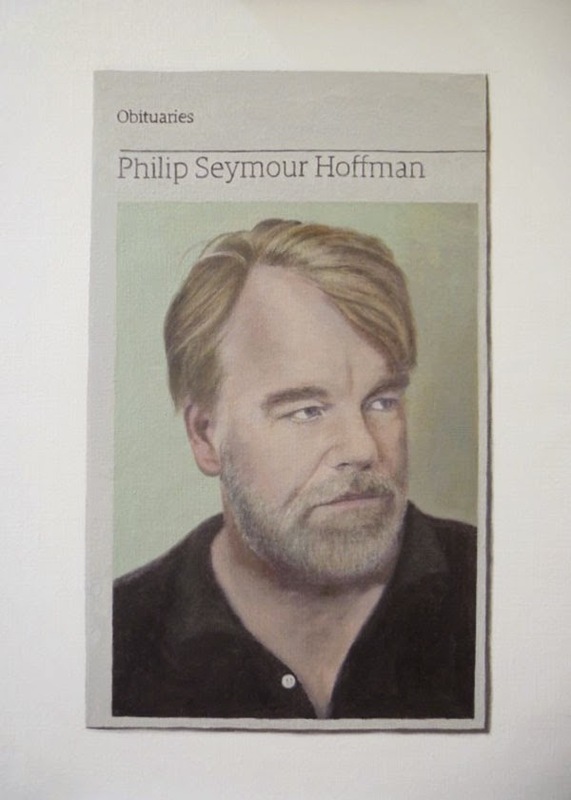 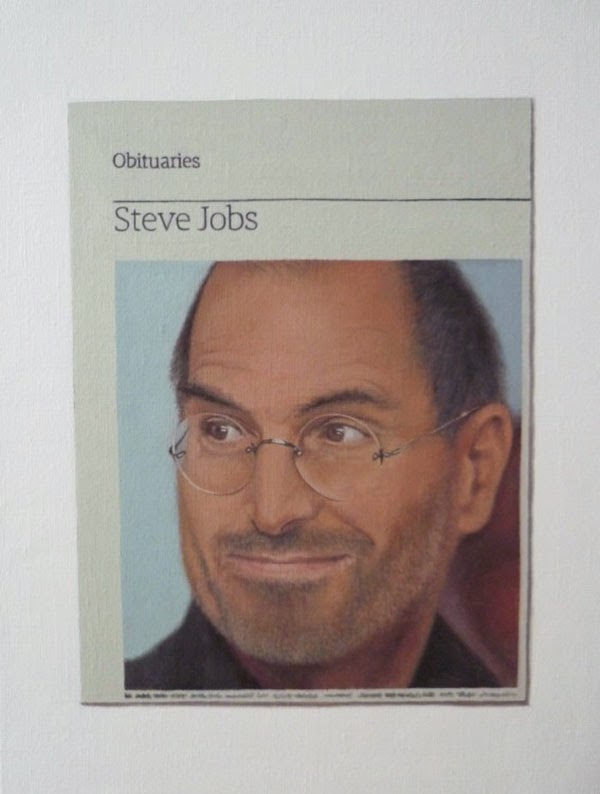 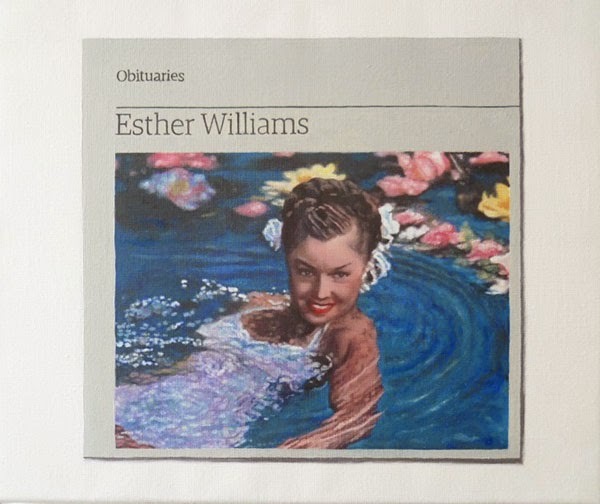 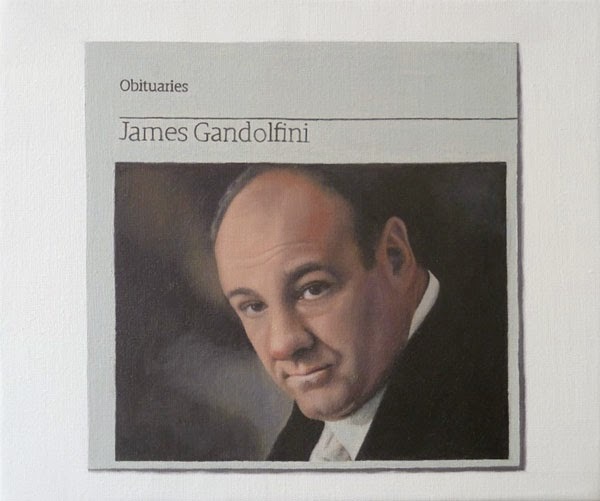 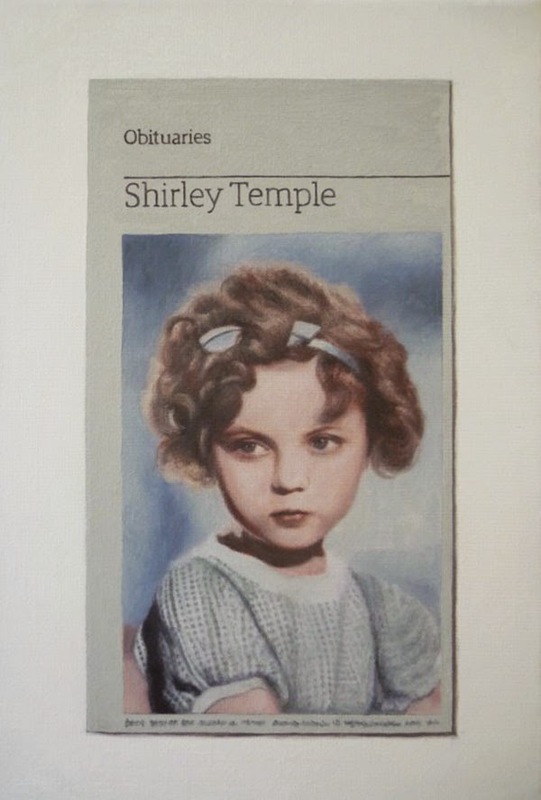 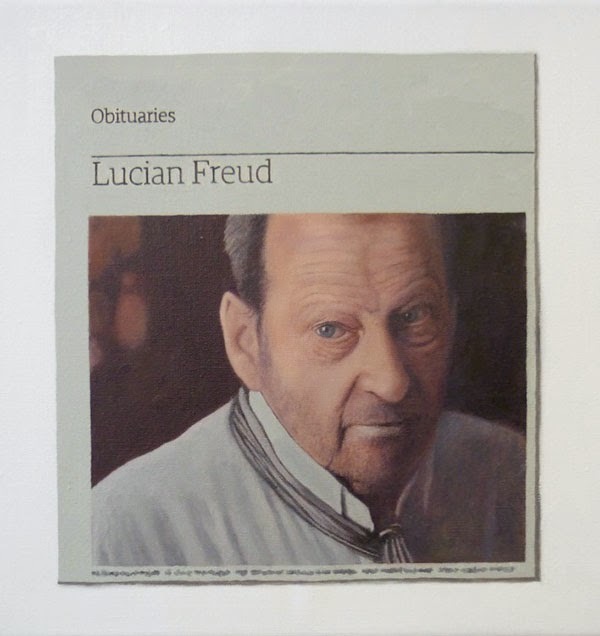 Paintings of newspaper clippings of popular figures who have died using the obituary section of The Guardian, a British daily, as the source material. 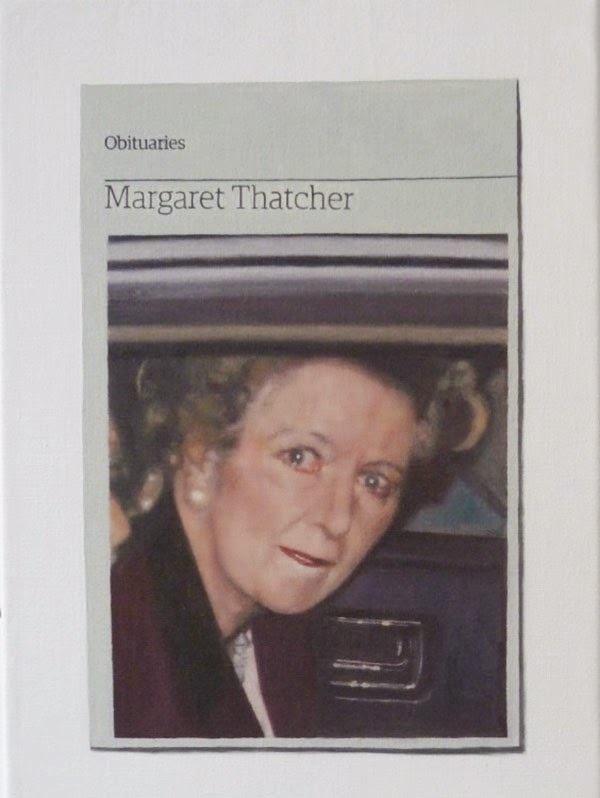 The images are chosen for their iconic qualities and the paintings serve as an act of remembrance. 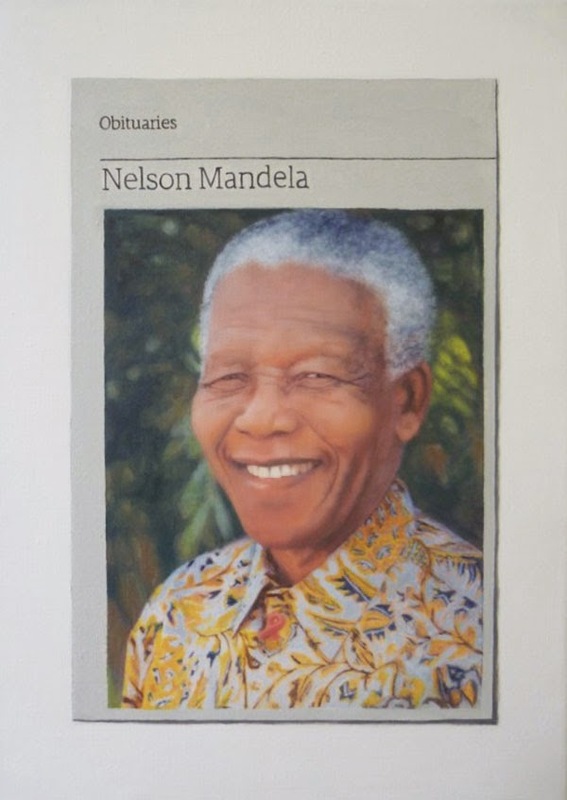 The ephemeral qualities of newsprint, which wilts and yellows over time, is negated and is replaced by an enduring work of art.